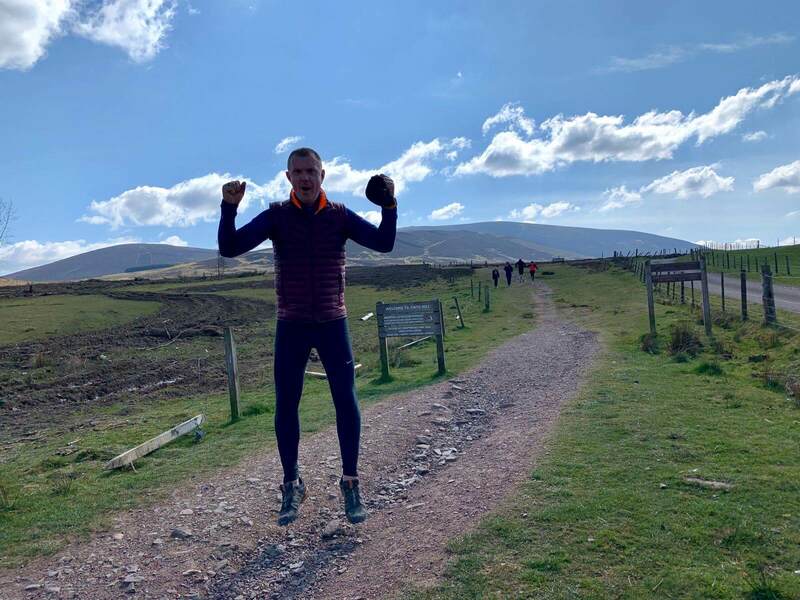 Two climbs this week, despite the fantastic pictures provided by Ross, conditions were extremely tough on Saturday with the wind chill and strong winds. That aside my two companions hauled me up and down in a new best time of 55.27min thank you Ross and Rod ! We are now back level with the clock after slipping 15 min behind through the worst of the weather. We are now looking forward to having a group session this Saturday coming with various starting times. First time out will be 10am, this is for anyone expecting to take 3hrs or more with the last start time around 1pm when I’ll have another go at beating my record. Everyone is welcome, we’re all there for same reason to raise funds and awareness for the Beatson and the fantastic work that they do. Please get in touch if you’d like to take part.